Runners in the eagerly anticipated Grand National will have a tardy chance to test their form and fitness this Sunday, after it was announced that the raceday at Kelso, originally cancelled with incessant snowfall, has now been rescheduled. 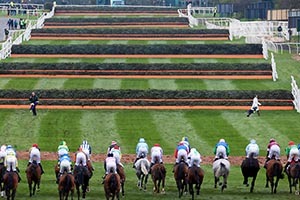 The timely news comes after the British Horseracing Authority (BHA) gave permission for the Borders track to restage the event which had been initially organised for the previous Saturday. Having already seen another National Trial in the shape of Doncaster’s Grimthorpe Chase, fall victim to the unrelenting weather conditions, the rearranged Premier Chase will certainly be fielding a competitive lineup. Experienced trainer, Sue Smith, is keen to give her National entry, I Just Know, some much-needed preparation ahead of Aintree’s great race, and pinpoints Kelso as a strong potential avenue to do so. The 8-year-old Gelding has been in good form of late, comfortably winning the long-distance Catterick showpiece in January and now looks to compete in the world’s most illustrious steeplechase. The news of a reschedule will also be welcomed by top chaser, Seeyoumidnight, who is likely to appear at Kelso this weekend. The Sandy Thomson-trained Gelding must be registered to run in a chase prior to Monday 9th April or else he will ultimately fail to qualify for the Grand National race. Kelso clerk of the course, Anthea Morshead, has voiced her delight at the news of a reschedule saying, “I can’t stress enough how grateful we are to the BHA and all our race sponsors, who have remained the same from the original fixture. Keep up with the latest on Grand National Runners and follow our latest news and updates. Make Grand National 2019 an experience worth remembering with our exclusive hospitality packages and VIP Tickets. Add a tier of eminence to your day at Aintree this year with one of our fabulous corporate hospitality facilities. Luxuriate within the confines of our course-facing Silks Restaurant, which succeeds in offering fabulous food, complimentary drinks and breathtaking views of the action. The Corbiere Suite, situated in the Lord Sefton Stand, also offers a racing experience well worth savouring. 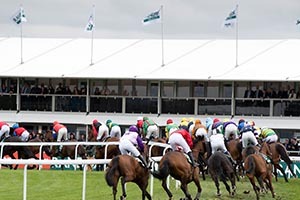 With a splendid atmosphere, first-class vantage point and excellent dining service t0 match, you will be sure to enjoy a day at Aintree unlike any other.